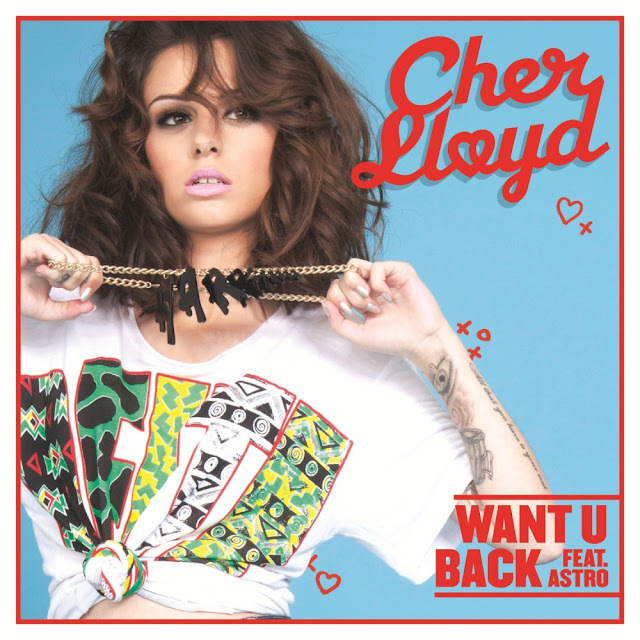 Cher Lloyd's latest single, "Want U Back" is hands down my favorite Cher Lloyd single released to date. In fact, it might even be her best single released to date...granted, she's only released a total of 3 singles, but never mind that. I can also definitively say that my reasons for liking "Want U Back" so much have absolutely nothing to do with the last minute addition of U.S. X-Factor contestant Astro onto track. N-O-T-H-I-N-G! On the contrary, what I like about this single has everything to do with Cher Lloyd. "Want You Back" is a lot of fun, especially when you throw in remixes from Cahill and Pete Phantom. Delicious! In the corresponding Parris-directed video, Cher's personality and quirky sense of humor both come bubbling to the surface. How refreshing. This mid-tempo pure pop gem was produced by Shellback (P!nk, Britney Spears) and co-written by Shellback, Savan Kotecha (Adam Lambert, Leona Lewis) and The Astronomical Kid (AKA Astro). Set to be released February 19th, "Want U Back" is the third single lifted off of Lloyd's debut Top 5 album, Sticks & Stones which came out last November via Syco/Epic Records. Preceding the album's release was the release of Cher's first single, the incessantly irritating "Swagger Jagger," which surprisingly was a #1 hit. The song was voted the "Most Annoying Song" in all of 2011 by the BBC's 'Most Annoying of 2011' list. Not exactly the honor Lloyd was looking for. Follow up single, "With Ur Love" featured Lloyd alongside U.S. hip-pop star Mike Posner and rose all the way to #4 on the UK Singles Chart. Now that the album has been out for a while, I'm hoping that Lloyd can maintain her Top 5 status with "Want U Back." Things are looking promising, given the fact that the song entered the UK Singles Chart shortly after the premiere of the music video, peaking at #26. My guess is that the actual release of the single propels it into at least the Top 10. Fingers crossed. For her debut album, Lloyd really brought out all of the stops, collaborating with the likes of hit songwriter Autumn Rowe, mega-producer RedOne, Busta Rhymes, Mike Posner, Ghetts, Mic Righteous and Dot Rotten. Quite an impressive lineup for a newcomer like Lloyd. "It's a bit crazy because I don't expect anyone to know who I am because I live in the UK. I'm from The X Factor and I came fourth. It's crazy and it gives me a lot of hope. With the USA, I'm not going to run before I can walk but you never know what’s going to happen." "Want U Back" is a solid pop song that you can't help but shake-it to. There's no real reason why it shouldn't do well in the States, and with mainstream publications like The New York Times already dubbing her "the future," it's a good sign. At this point...it's all about promotion. Here's hoping L.A. Reid does his job and promotes the hell out of this girl! U.S. fans can download "Swagger Jagger" on U.S. iTunes HERE. I love it when America discovers someone talented that the rest of the world has known about for months, even years! Today, the talent I'm referring to is Scottish singer/songwriter Emeli Sandé. 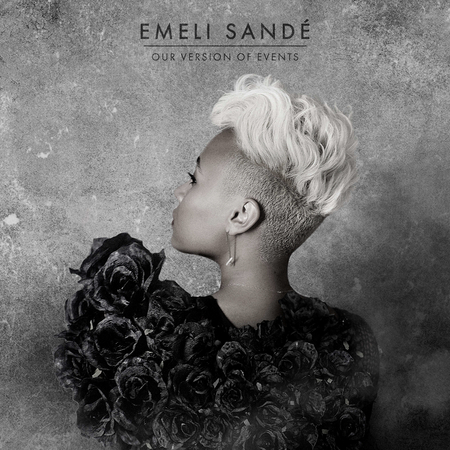 Sandé is due to release her debut album, Our Version of Events on June 5th via Capitol Records. This is HUGE! I'm envisioning lots of promotion, performances on The Tonight Show, The Ellen DeGeneres Show (except I think Ellen is on hiatus in the summer), it's going to massive. Capitol better promote the hell out of this supreme being. She deserves some Stateside recognition, for sure! Sandé is already off to a promising start in her native UK, releasing debut single "Heaven" last August and having it debut in the #2 spot on the UK Singles Chart. Aside from garnering the adoration of some of her musical contemporaries like Adele and Alicia Keys, Sandé has already won the prestigious BRIT Critics' Choice award (won in the past by Adele and Florence + The Machine), and was nominated for the Breakthrough British Artist award. We'll have to wait until February 21st to see if she wins. As if these accolades aren't enough, Sandé was also hand picked by Coldplay to open for the band on their European tour. Follow up single "Daddy" (featuring Naughty Boy), which came out at the end of November, wasn't as fortunate, only coming in at #21. We've all seen this before - first single is a top 5 hit, second single just barely outside of the top 20, third single 40+ and BAM. Dropped. I am hoping and praying that this does not become Emeli Sandé's fate. The third single, entitled "Next To Me" is scheduled for release on February 12th, followed by the album's UK release the next day.